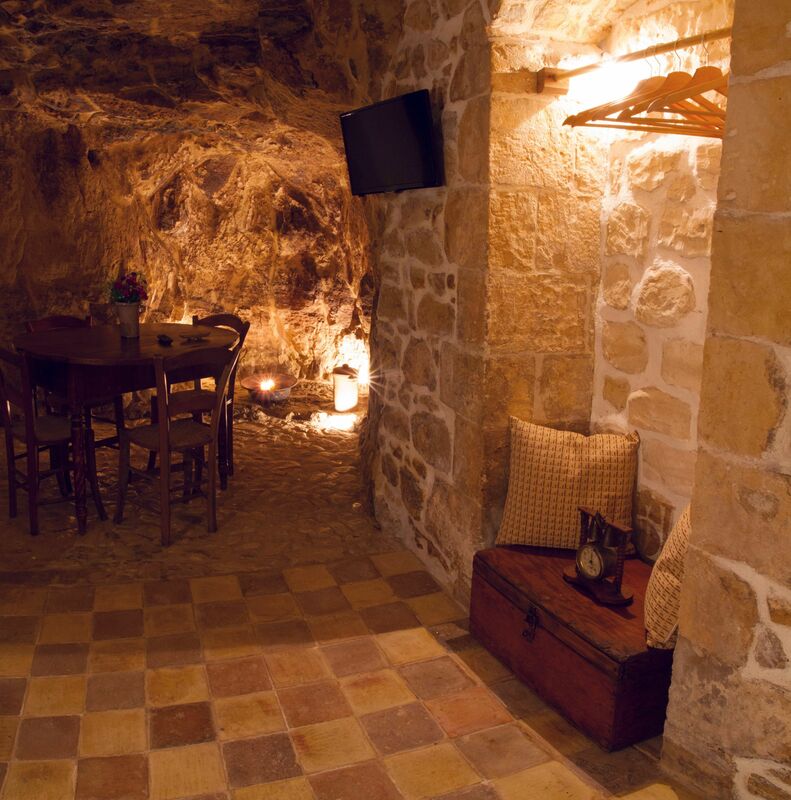 This charming house with a cave that is the scenario to the living area and in a corner there is a spacious rock bathroom . 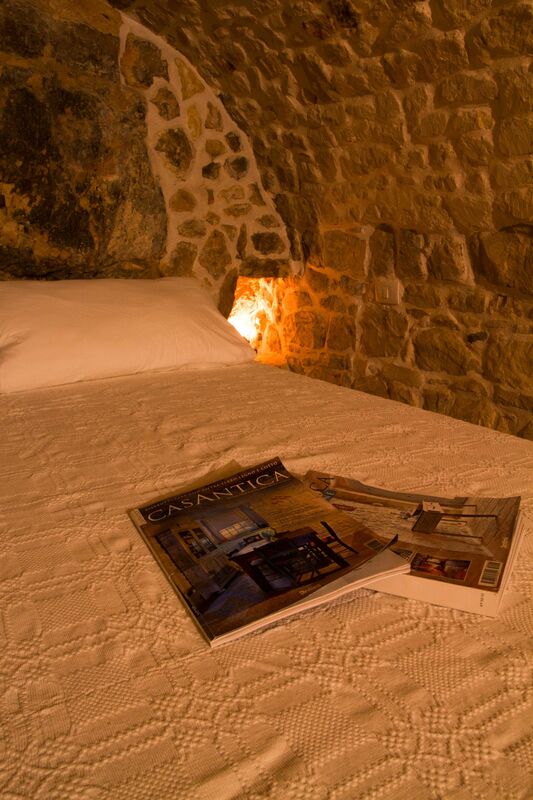 A house with bedroom in cave, stone walls and terracotta floor with Sicilian cuticci (typical Sicilian small stones). 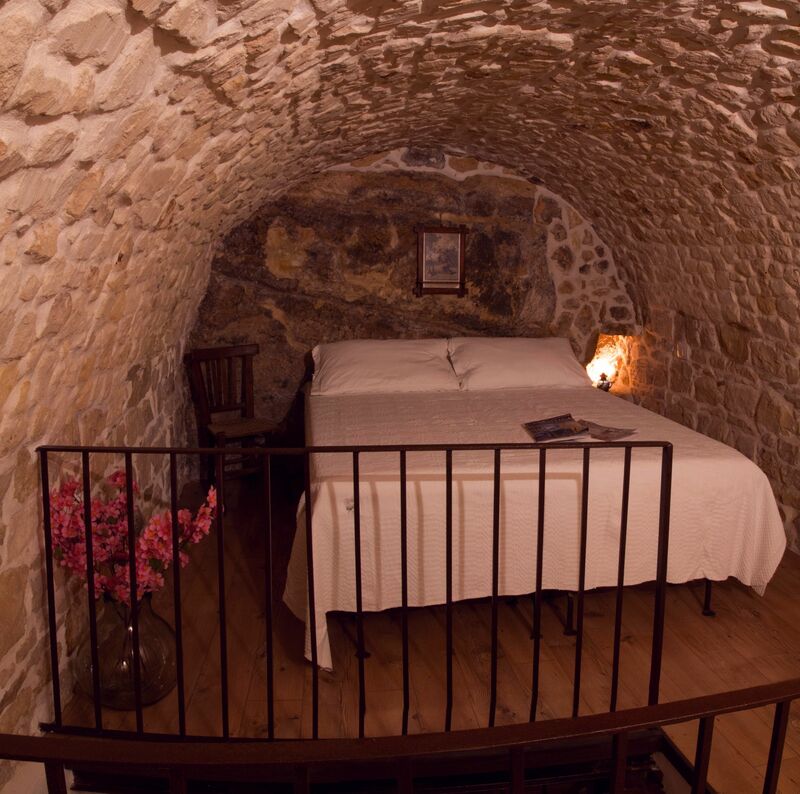 Fanciful and romantic room, on two levels. 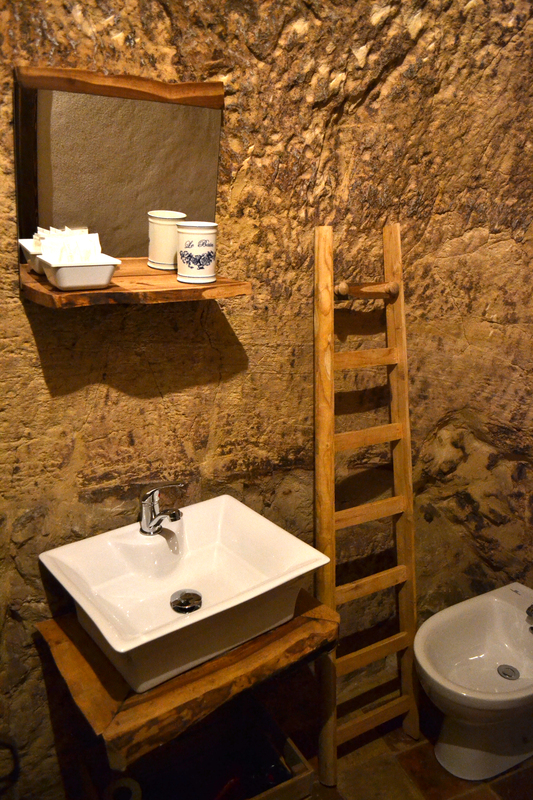 Particularly spectacular on the ground floor is the borders of the living area with the cave in a cavity, there is an original bathroom . 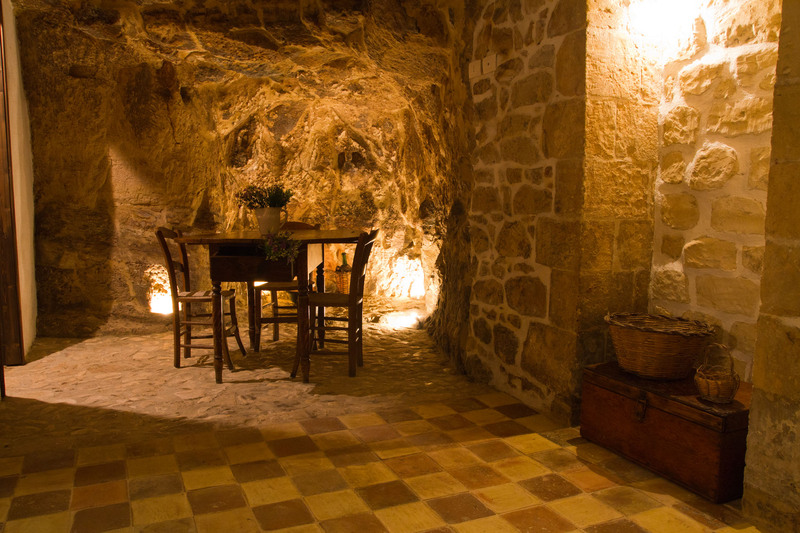 Near it a kitchen masonry plan with pottery of the best Sicilian tradition. 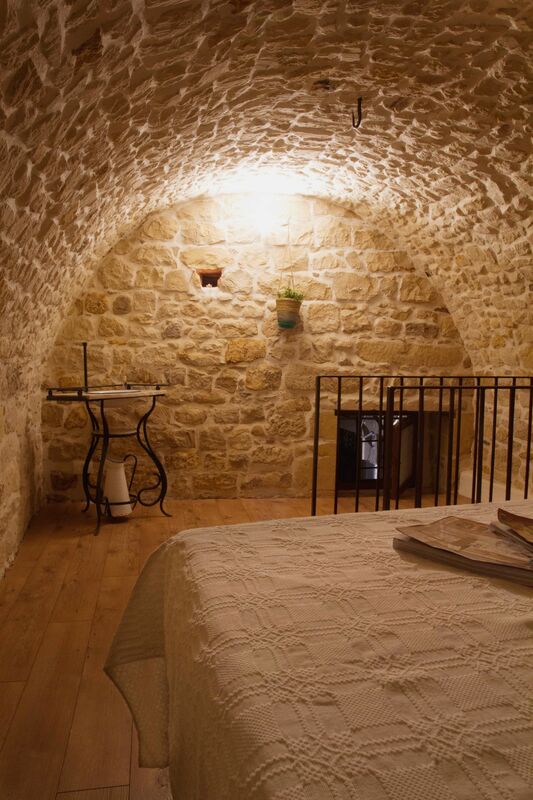 Then there is a loft with a wooden floor reached by a staircase with a stone vaulted ,here there is a fanciful and romantic master bedroom. In the room there is a flat screen TV, Wi-Fi, heating, hairdryer, toilet, private bathroom, shower, minibar, desk and kitchenette. Bed type: one double bed, with the possibility of adding a cradle and a bed in the living area.